The Vermont Yankee nuclear power station closed permanently on 29 Dec 2014. The closure of this well-maintained nuclear power plant with decades of remaining life was entirely due to the difficult economics of operating in a U.S. electricity market. The U.S. experience with nuclear power plants in electricity markets provides lessons for all countries about the prospects for nuclear power in a restructured electricity industry. 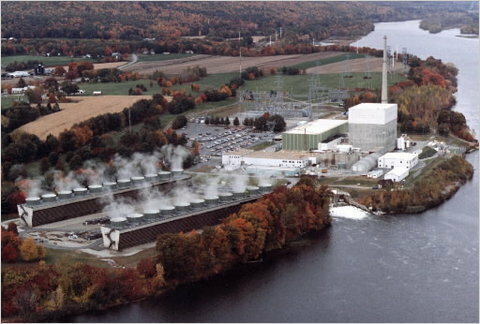 The Vermont Yankee nuclear power station was closed because it was operating at a loss and the prospects for these losses to stop in the future were doubtful. The challenges facing Vermont Yankee and the other merchant nuclear power plants in the United States provide some useful lessons for other countries. I wrote an article for the December issue of Nuclear Engineering International Magazine on the decline of the U.S. nuclear power industry. This article explains the challenges for U.S. nuclear industry from low-cost natural gas, low demand growth and other factors. The 2014 IEA Review of U.S. Energy Policy also notes challenges facing U.S. nuclear power plants. The economic basis of nuclear power has been severely challenged by competition from shale gas developments as well as weak power prices and slow growth in electricity demand. Nuclear power plants generate electricity that has a value based on the cost of generating electricity using other technologies and fuels. When the cost of non-nuclear electricity (e.g., using shale gas) is low, nuclear electricity is less competitive. Some challenges faced by U.S. nuclear power plants explained in the December 2014 NEI Magazine article and in the IEA Review may not be present outside the United States. Unconventional (shale) natural gas is not (yet) available outside North America and other countries have growth in electricity demand greater than that in the United States. However, there are important lessons that the global nuclear industry can learn from the situation in the United States about the economics of building and operating nuclear power plants in electricity markets. The IEA Review states that U.S. electricity markets do not favor investment in capital-intensive nuclear power technology because low wholesale electricity market prices make it difficult or impossible to recover fixed costs. My December NEI magazine article provides additional discussion of this issue. These insights may be relevant to other countries, including those countries that are considering, or that already have undertaken, electricity industry restructuring. Most countries have a single electricity industry structure. The U.S. electricity industry is a jumble of government utilities, regulated investor-owned utilities, and electricity markets. The coexistence of different electricity industry approaches (and even different electricity markets) in the United States offers an opportunity to consider how nuclear power fares under these different industry approaches. The restructured regions of the United States are difficult markets for nuclear power, demonstrated by early economic retirement of several existing nuclear units and the suspension or cancellation of all new nuclear projects in these regions. NECG Commentary #1 explained why nuclear power and other capital-intensive electricity generation technologies are not a good fit with electricity markets. Electricity markets are solving a different problem than the problem solved by the capacity expansion planning process in regulated and government utilities. An article written in 2014 by Elise Zoli and myself outlined the dire situation faced by U.S. merchant nuclear projects (i.e., those nuclear projects operating in electricity markets). This article proposed some approaches to help avoid even more early (and permanent) retirements of U.S. merchant nuclear projects for economic reasons.Regulated and government utilities are able to make long-term commitments to large capital intensive generation projects that will lower total system costs, but the same investments seem unlikely to happen in restructured electricity systems without intervention. A country considering nuclear power should consider the potential impact of electricity industry restructuring. Restructuring the electricity industry and implementing electricity markets will make nuclear power options (and any other large capital-intensive generation option) much more difficult. Electricity markets with a single market-clearing price (i.e., most electricity markets operate this way) may provide revenue above short-run marginal costs that can be used to cover fixed operating costs and to provide a return on investment. These uncertain revenues may not provide investors with an incentive to make a large multi-decade investment in a nuclear power plant – even if the nuclear power plant would result in lower total system costs. The controversial Hinkley Point C incentive package in the UK is an example of the level and type of support required for nuclear power plant investments in electricity markets. The untimely and permanent closure of the Vermont Yankee nuclear power station is an example of what may happen to existing nuclear power plants operating in electricity markets. “An industry in decline,” Nuclear Engineering International magazine, December 2014, pages 16-19, www.neimagazine.com. “The U.S. Electricity Industry after 20 Years of Restructuring,” by Severin Borenstein and James Bushnell; September 2014; Working Paper 252; Energy Institute at Haas (https://ei.haas.berkeley.edu/pdf/working_papers/WP252.pdf).